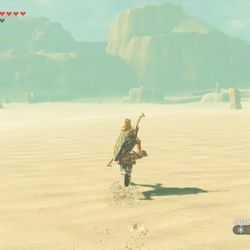 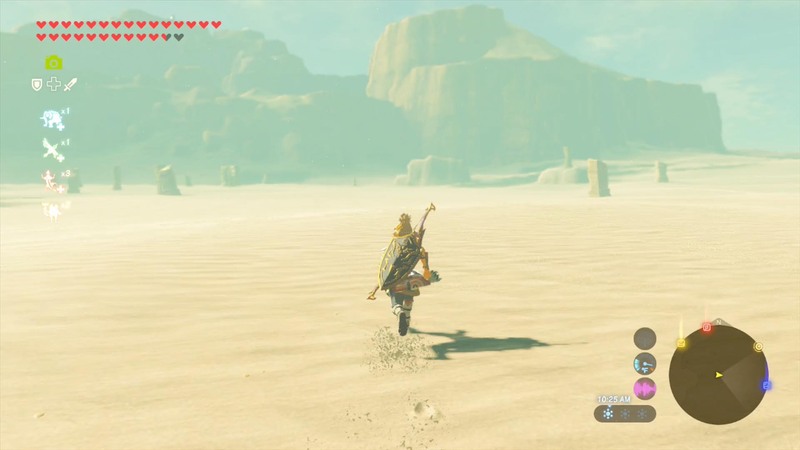 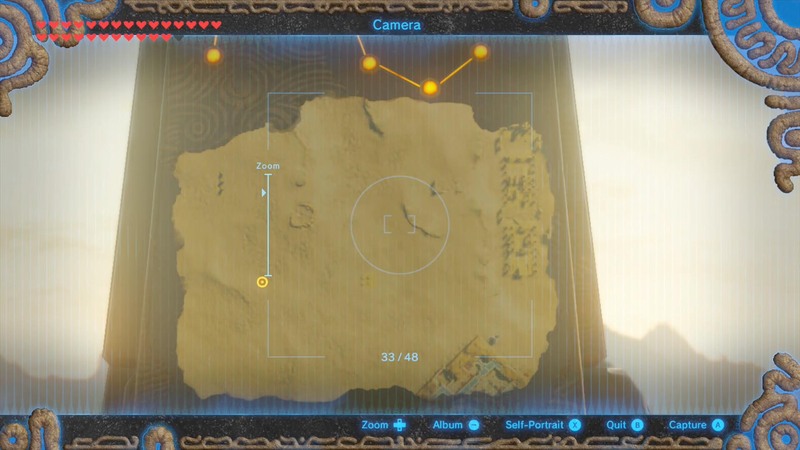 In this The Legend of Zelda: Breath of the Wild guide, we’ll show you how to find Keive Tala shrine in the East Barrens of the Gerudo Desert. 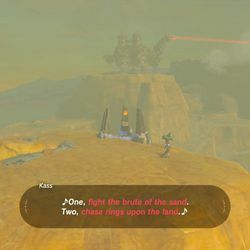 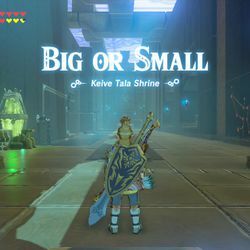 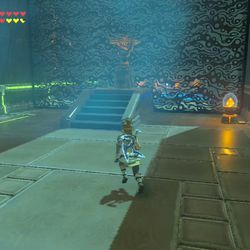 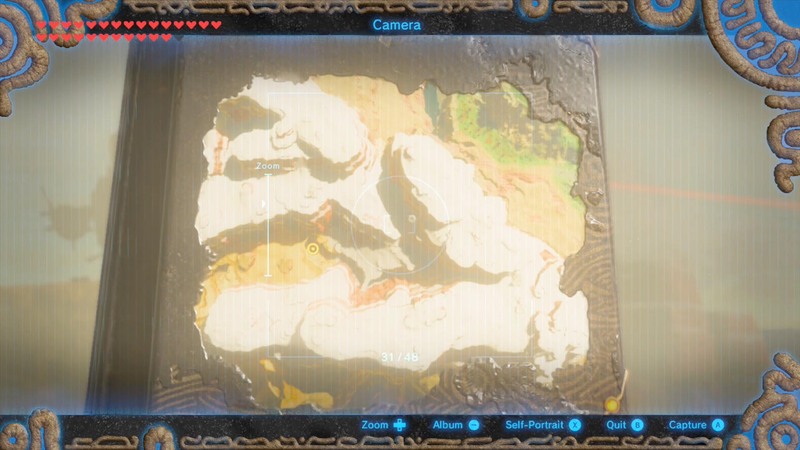 You’ll need to find this shrine as part of the EX Champion Urbosa’s Song main story quest. 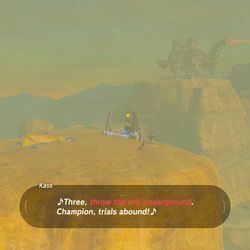 The Champions’ Ballad adds a new main story quest for you to take on after you’ve tamed all four Divine Beasts. 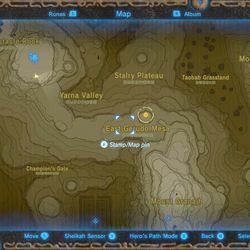 The first stage of EX The Champions’ Ballad presents you with a new series of challenges on the Great Plateau. 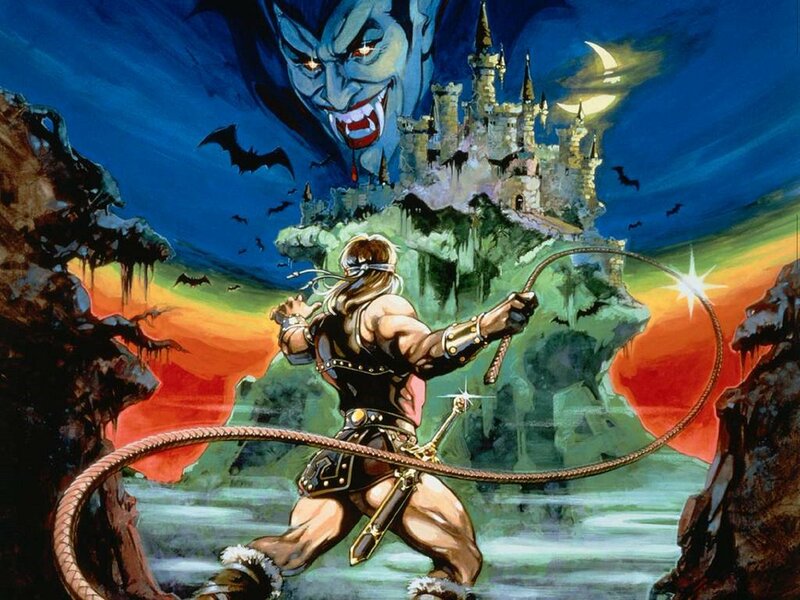 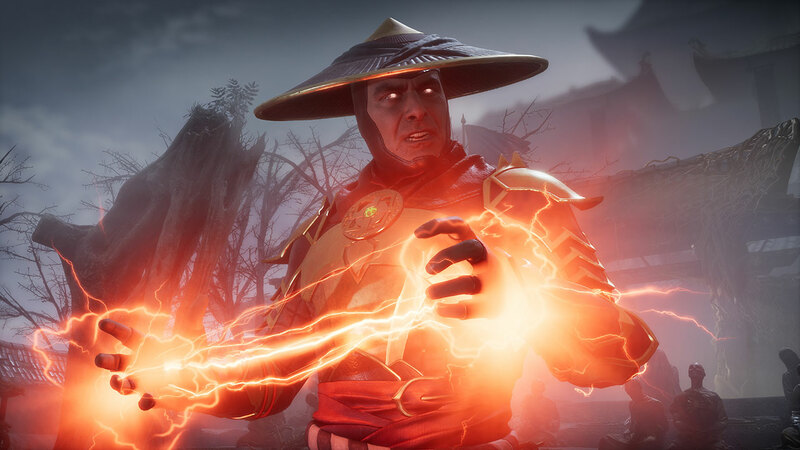 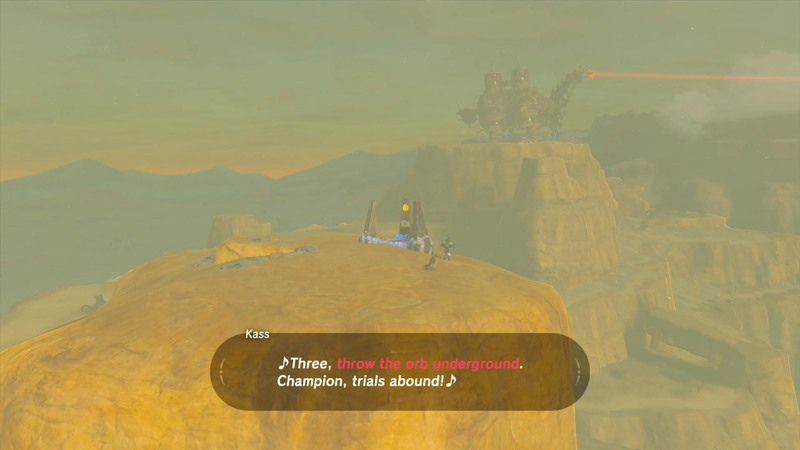 After that, you must complete a series of challenges for each of the Champions. 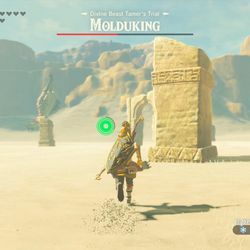 To begin EX Champion Urbosa’s Song, you must find the stone monument with hints to the three trial locations. 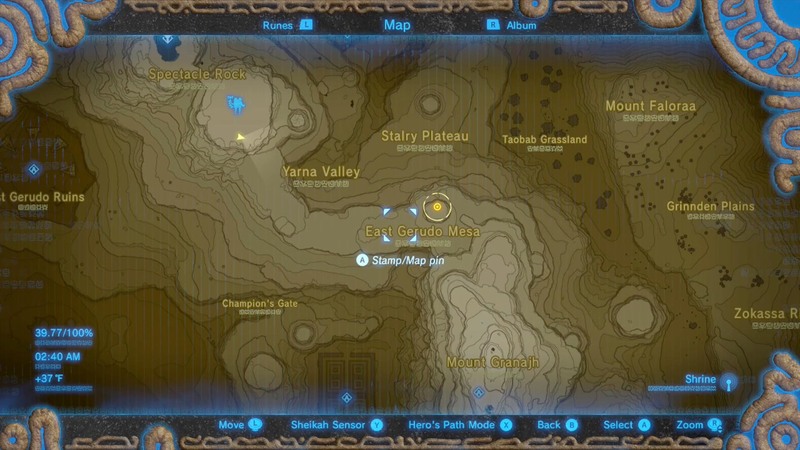 The monument’s location was marked on your map when the One-Hit Obliterator split apart. 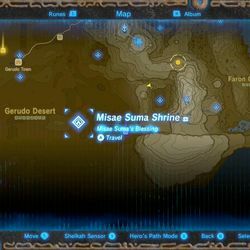 The stone monument is in the high mountains on the far eastern edge of Hyrule’s southwestern desert in a location named East Gerudo Mesa. 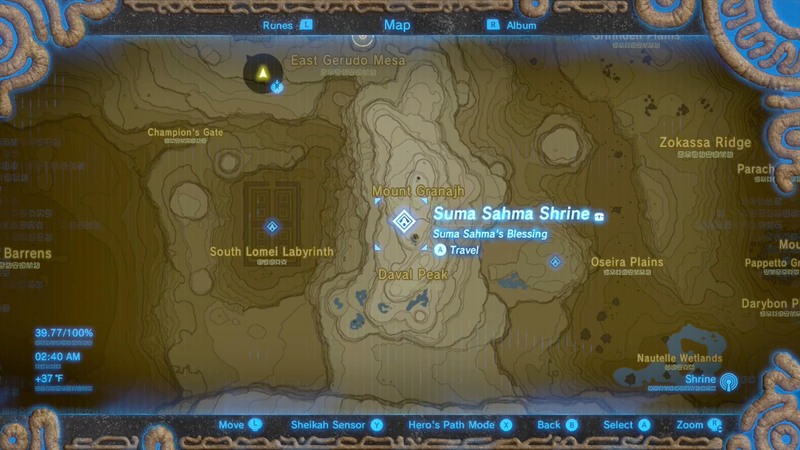 It’s to the east of Divine Beast Van Naboris and north of Suma Sahma shrine. 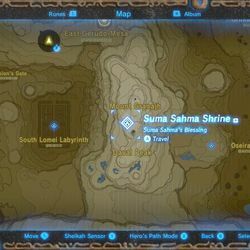 It’s slightly easier and quicker (and downhill) to warp to Suma Sahma shrine and then start trekking north. 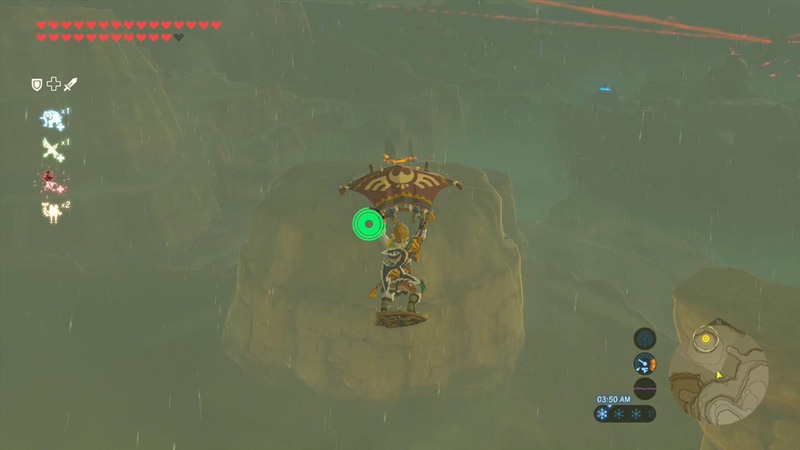 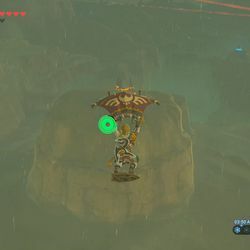 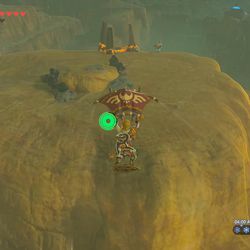 Shield surf past any enemies that pop up (or fight them if you want), then paraglide across the gap to land on the pillar where the stone monument sits. 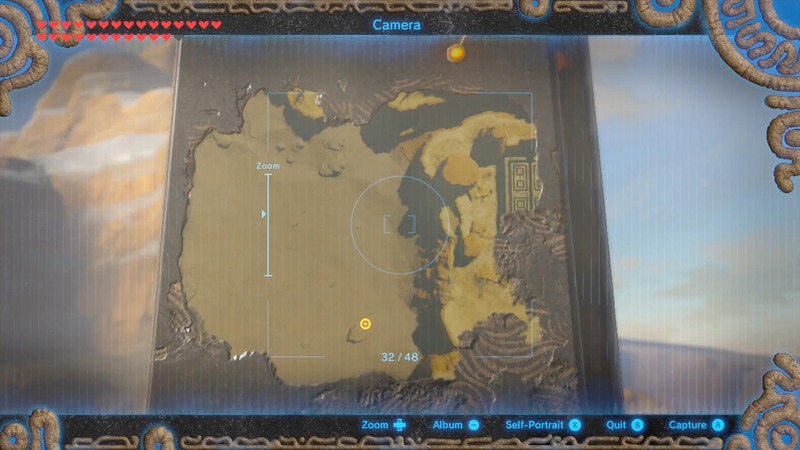 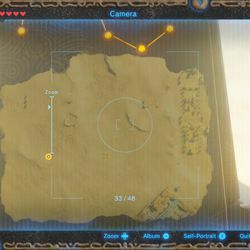 The stone monument displays three satellite-looking images of the nearby area, and Kass’ song gives you hints about what you’ll be doing there. 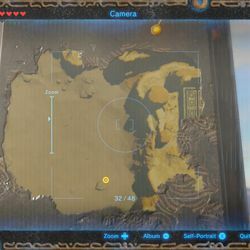 With a little detective work and your map (or just by looking at the image above), you’ll be able to find the approximate locations of your trials. 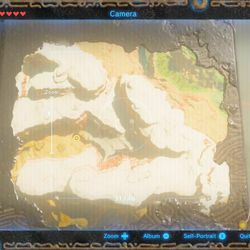 As you might guess from Kass’ clue, you’re going to be facing a molduga to reveal this shrine. 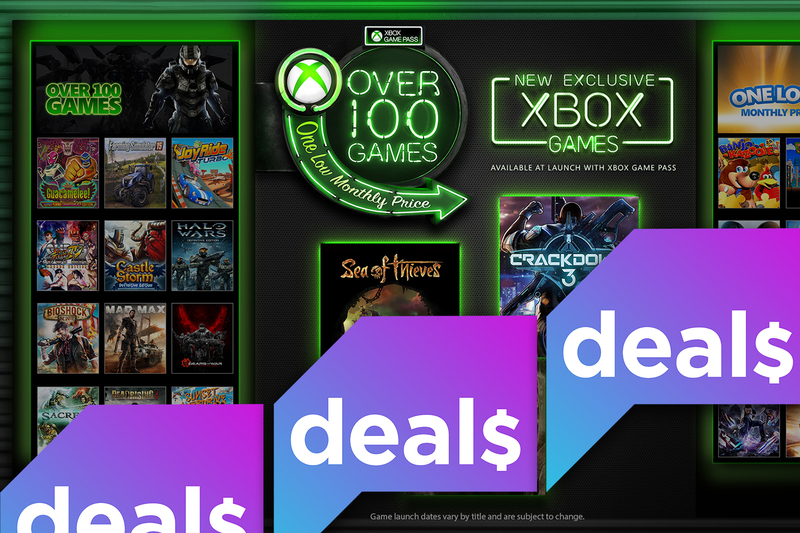 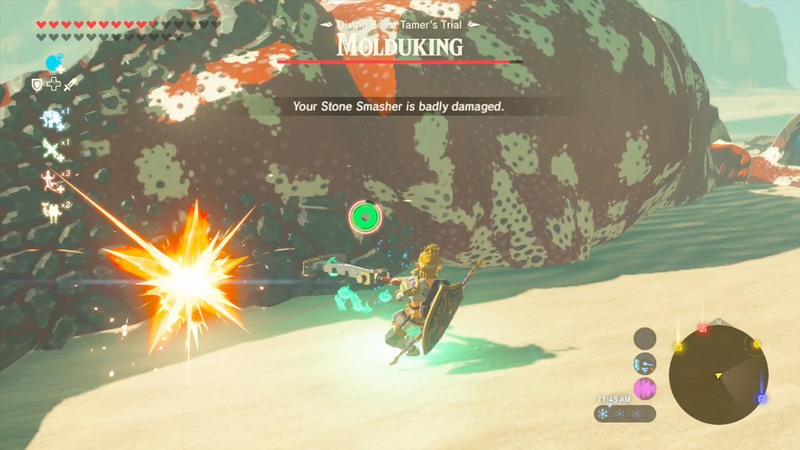 You can read our guide for some tips on defeating one. 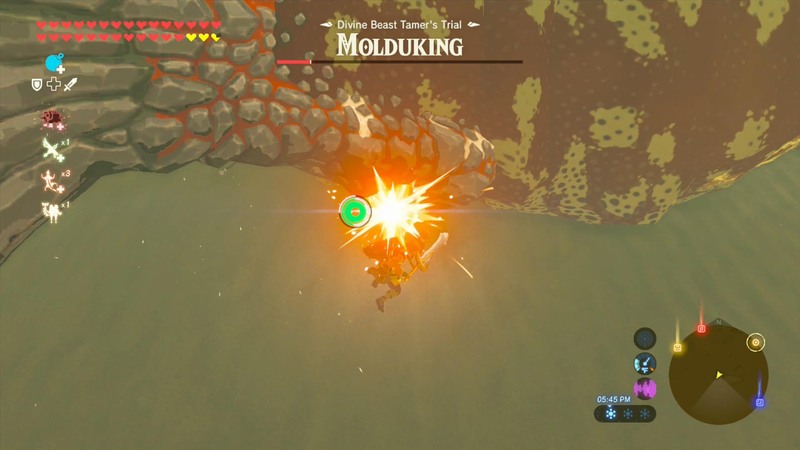 Don’t expect this to be easy, though — you’re facing the molduking this time. 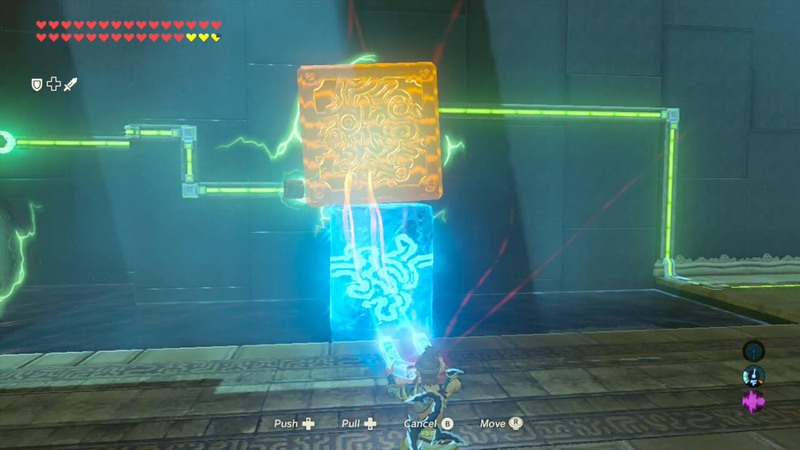 But the same basic principles apply. 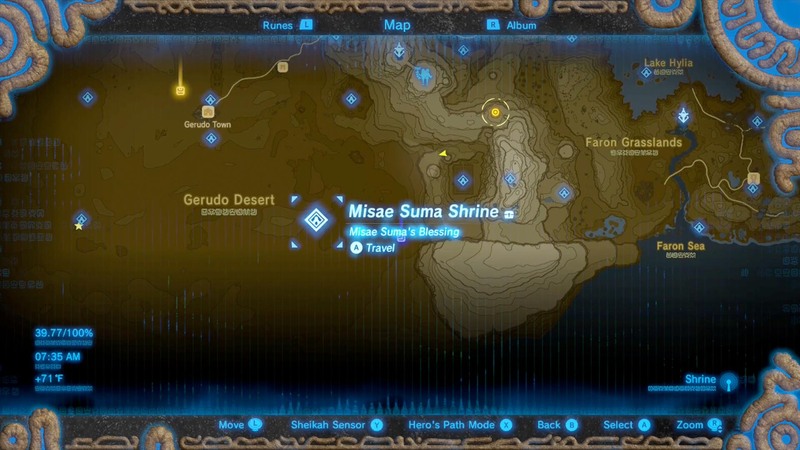 Warp to Misae Suma shrine out in the desert, then turn east and just start walking. 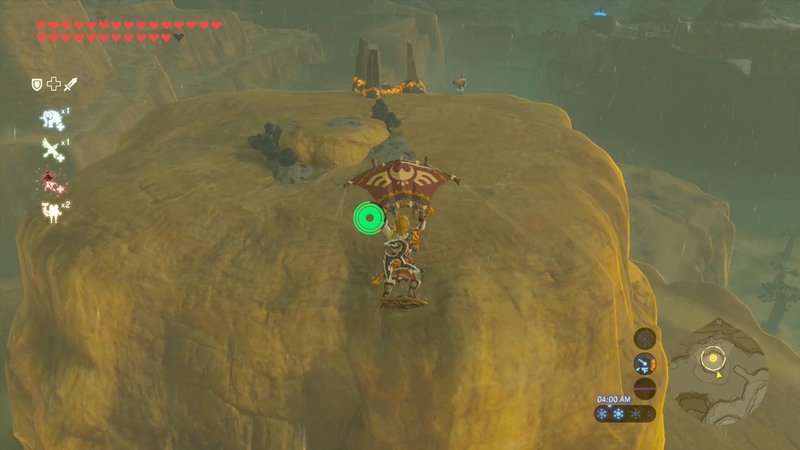 You’ve got a bit of a hike, but this is the easiest way to get there. 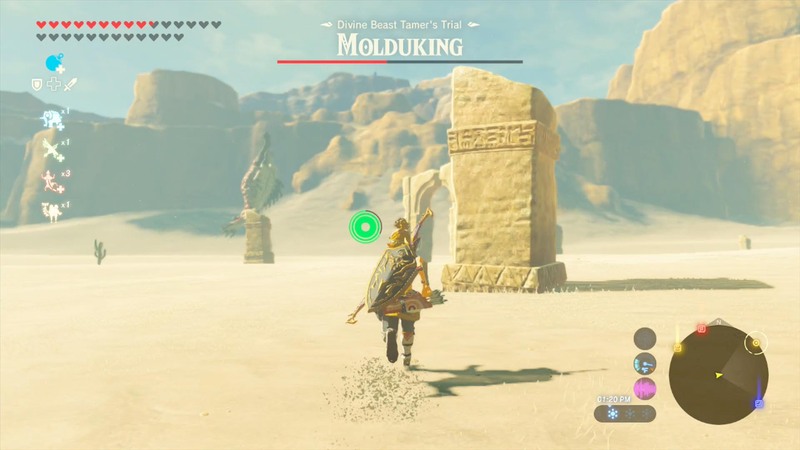 Before long, you’ll start seeing pillars and rocks sticking out of the ground. 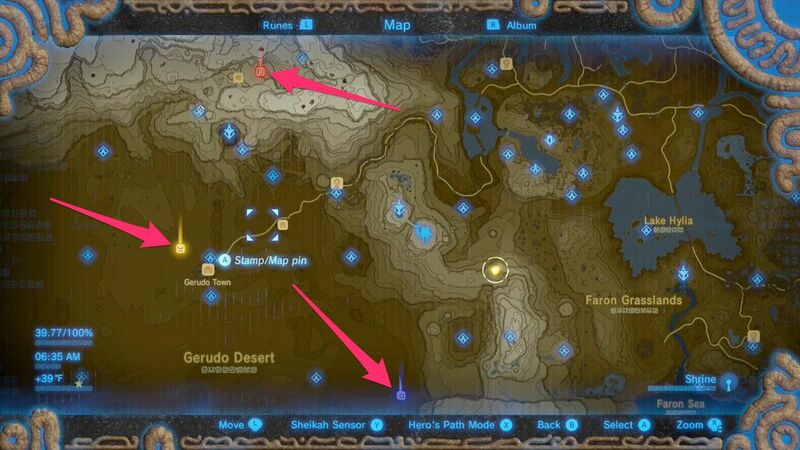 Angle toward them and keep their locations in mind, because you’re going to need them soon. 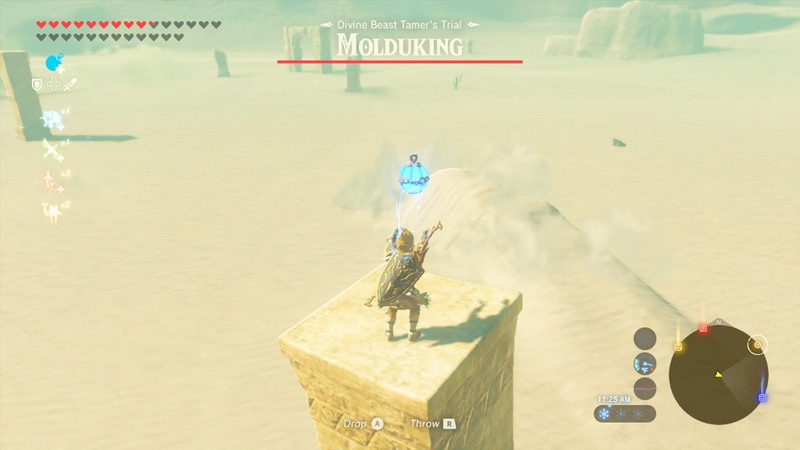 The molduking will hear you coming and zero in on you. 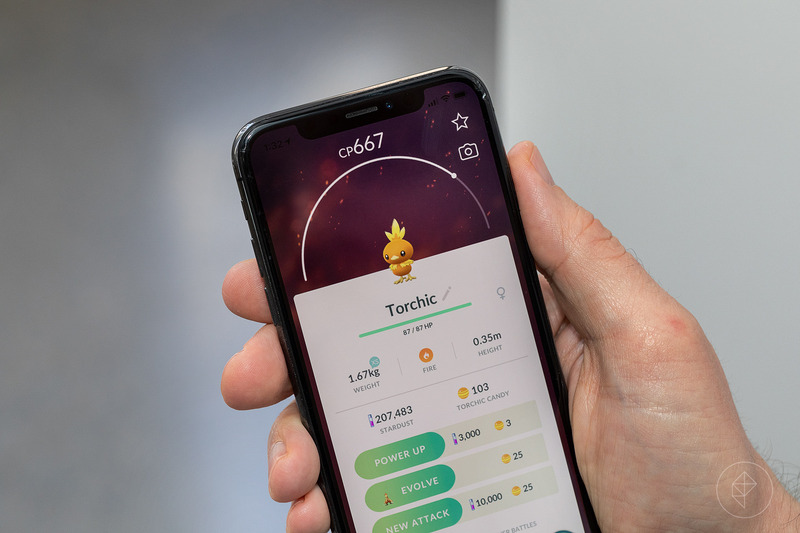 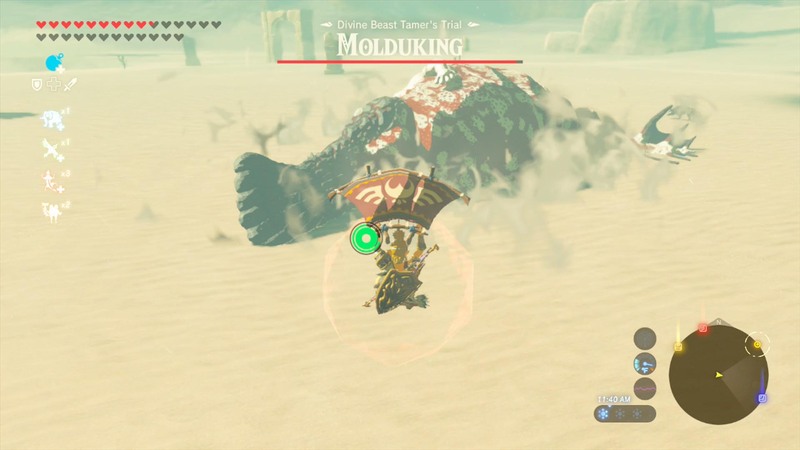 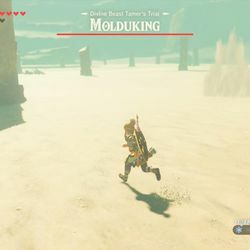 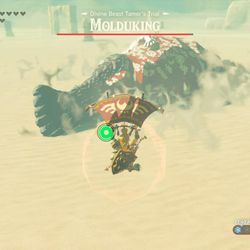 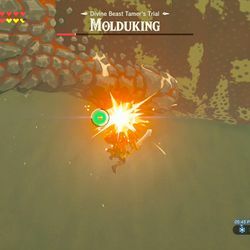 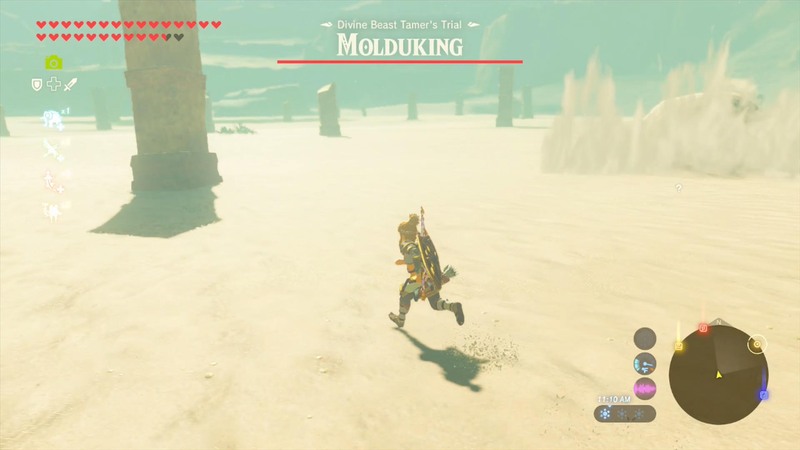 Sprint to a pillar, then start using the normal molduga tactics — toss a remote bomb, wait for the molduking to swallow it, detonate it, then swoop down and charge attack until the molduking recovers. 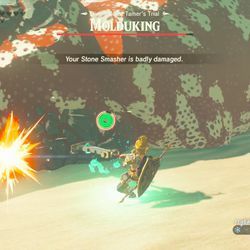 The molduking is extremely tough (with a lot of hit points), so you’re going to be at this for a while. 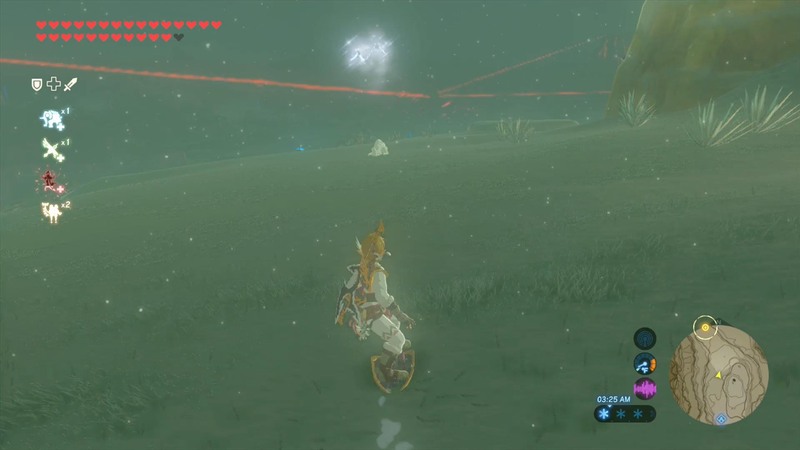 We tried a lot of different weapons and arrows, but nothing seemed to make a significant difference in how much damage you can deal. 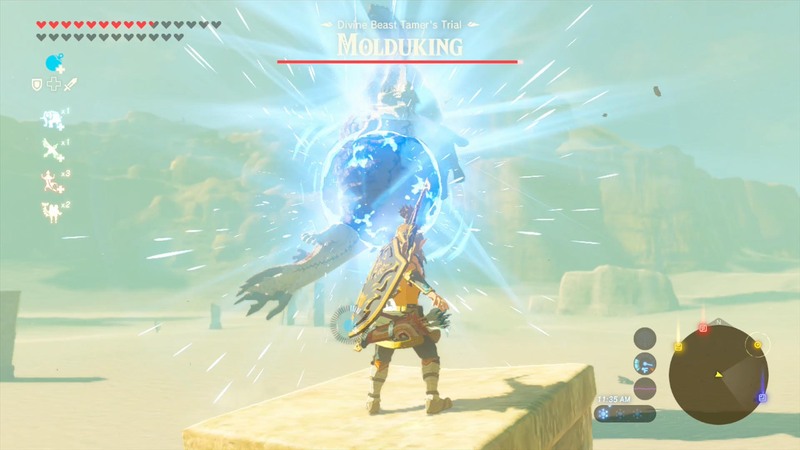 It’s just, as the name suggests, the strongest molduga you’ll face. 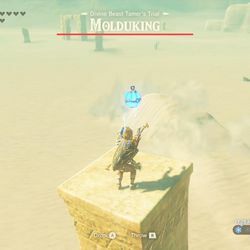 As you shave down its health, the molduking might flee. 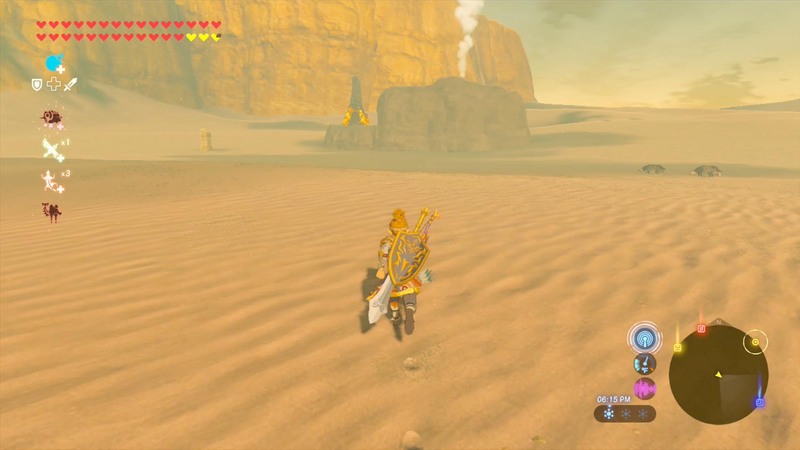 Just follow it across the desert and find a new pillar to stand on. 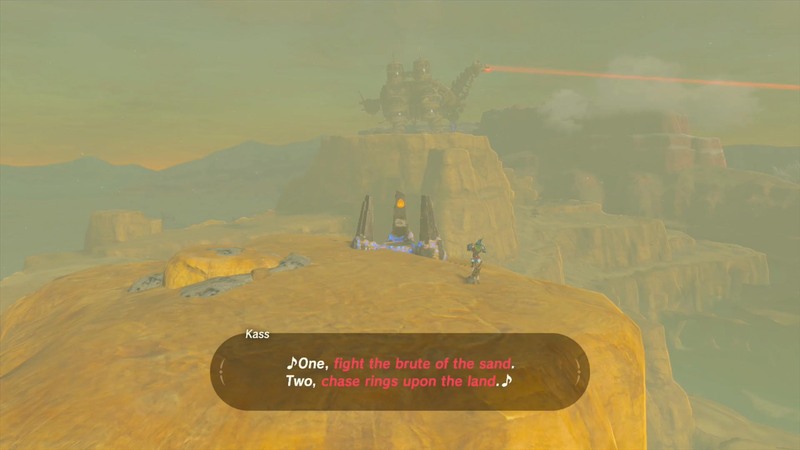 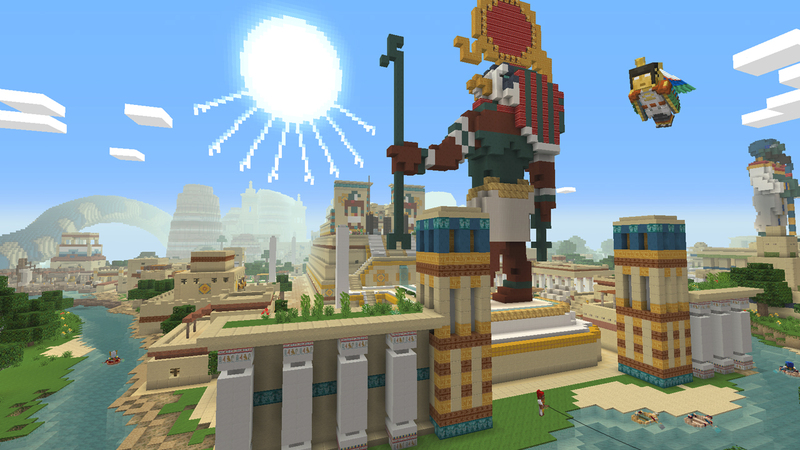 Once you defeat it, the shrine will appear on a nearby mesa. 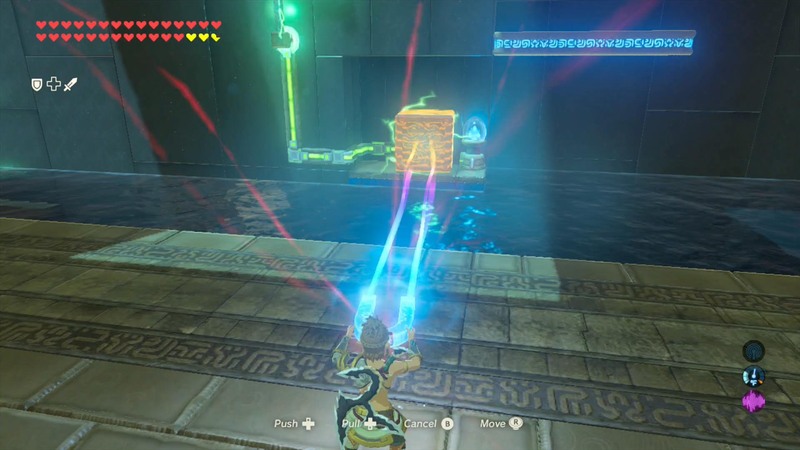 Run forward and use magnesis to grab one of the small metal blocks out of the alcove on your right. 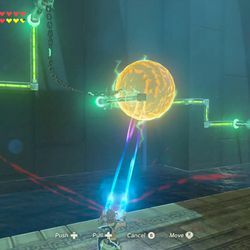 Swing it over to the left and drop it in the water to bridge the gap between the two metal balls and continue the circuit. 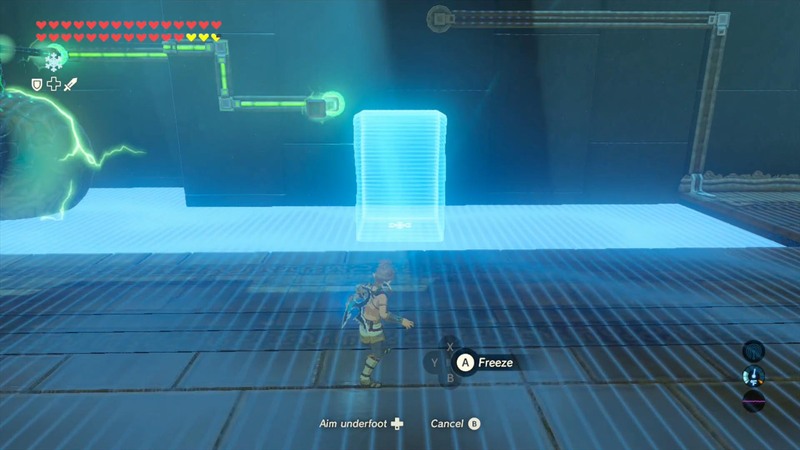 Grab the other small metal block and continue down the circuit a little bit. 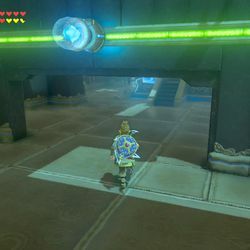 Swing the block over and bridge the gap between the lower branch of the circuit and the blue egg-on-a-pedestal-thing. 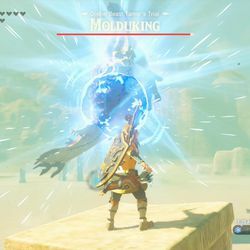 This will power the platform and raise it up. 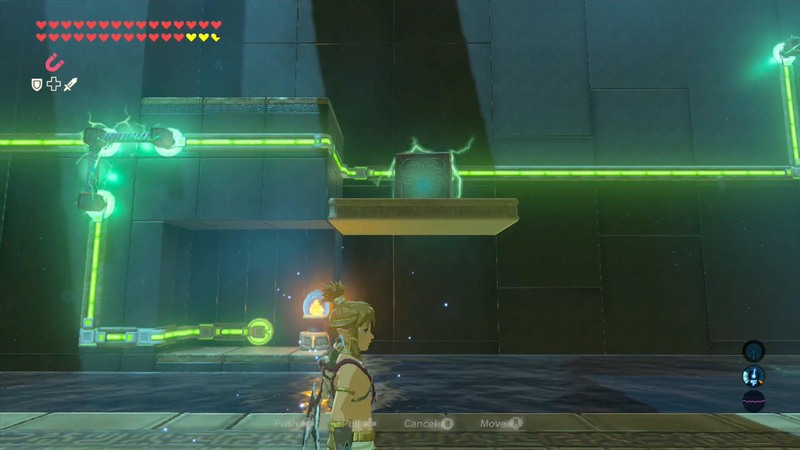 Place the small block on top of the (now raised) platform to continue the circuit. 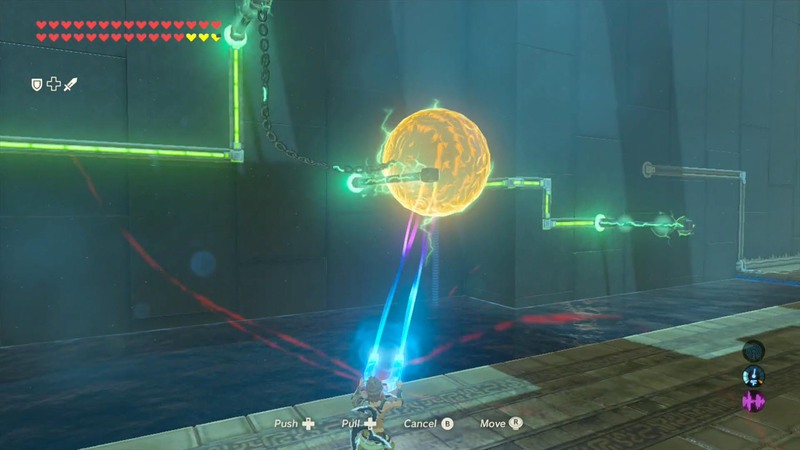 Continue along and use magnesis to drape the large metal ball on a chain over the pole next to it. 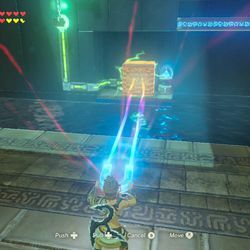 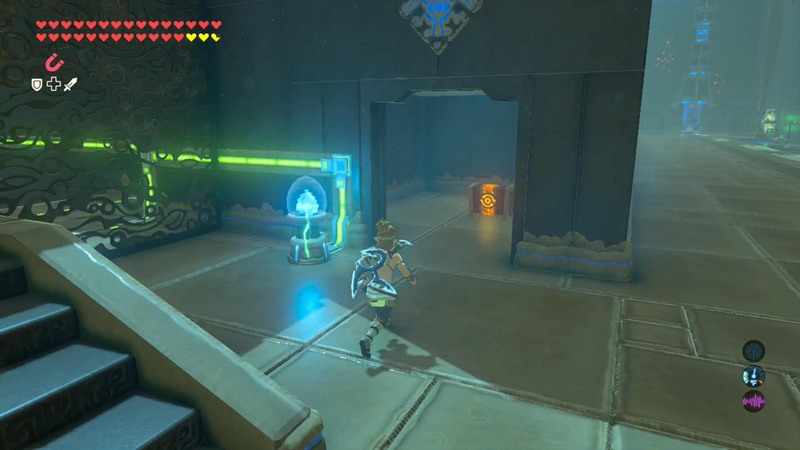 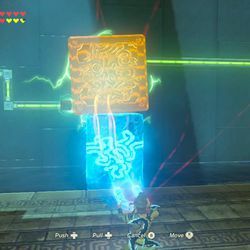 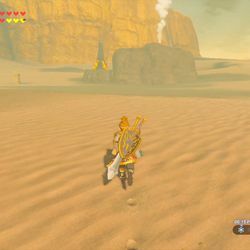 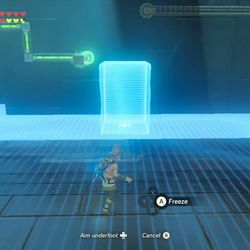 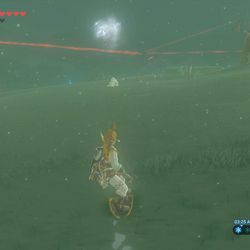 Use cryonis to place an ice block in the next gap along the circuit. 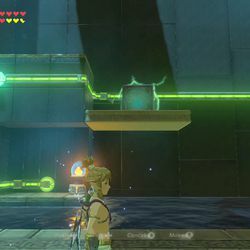 Place the large metal block (from the second alcove on the right) on top. 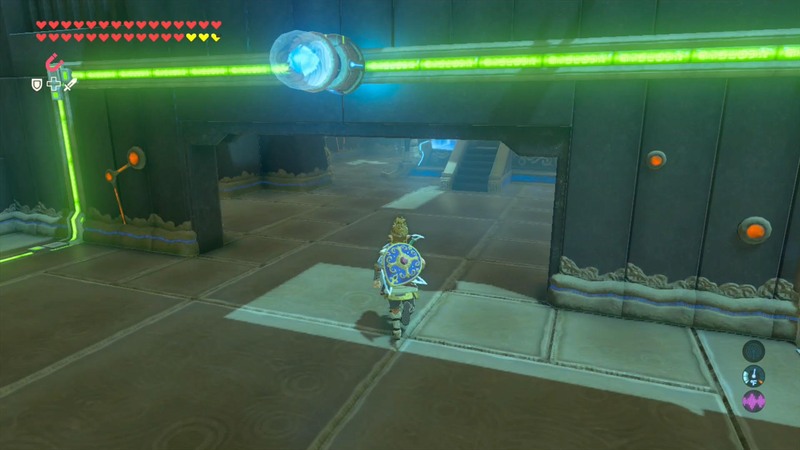 Before you leave, follow the hall to the right and interact with the motion-control console. 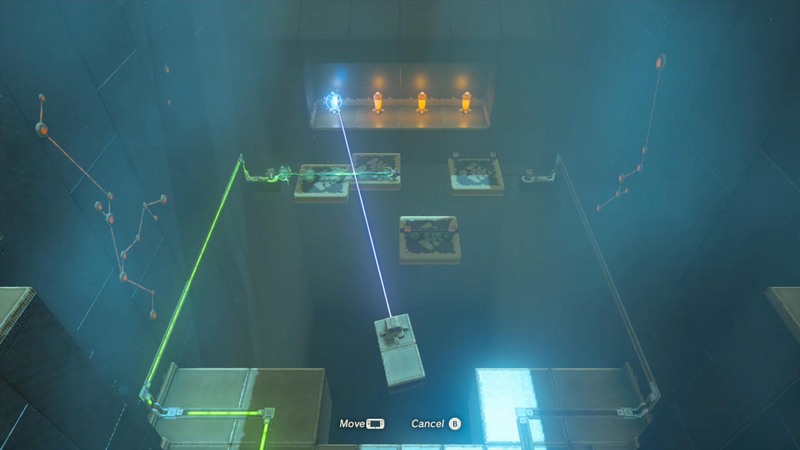 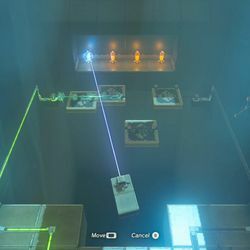 Your goal is to hit all four of the crystals with the laser to stop the platforms and complete the circuit. 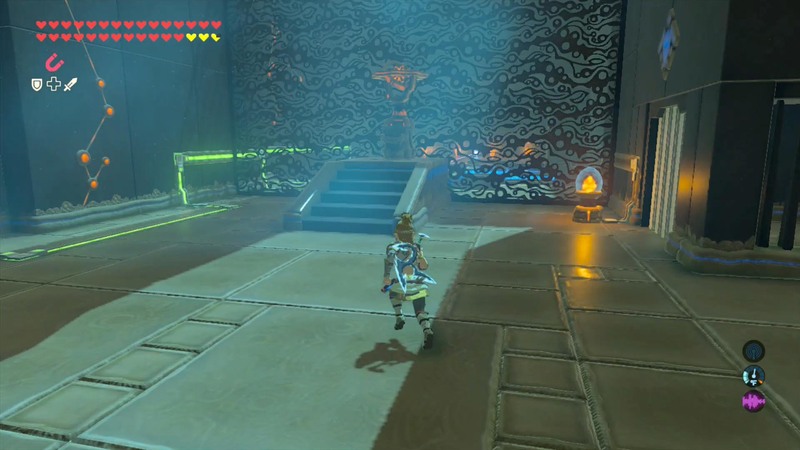 There doesn’t seem to be a trick to this part, so just be patient. 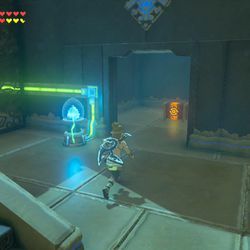 Once you complete the circuit, the door on your right will open. 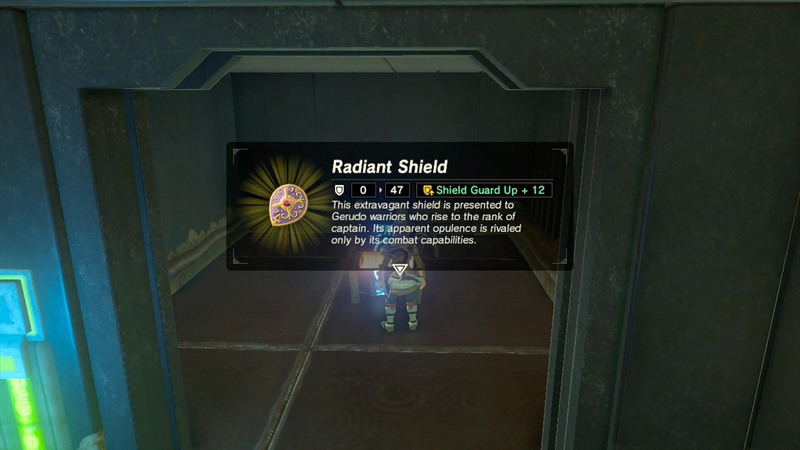 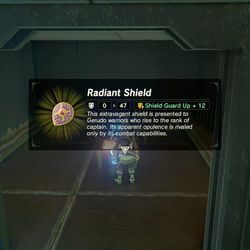 Open the chest inside for a shield guard up +12 radiant shield. 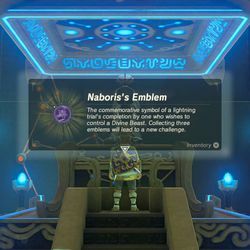 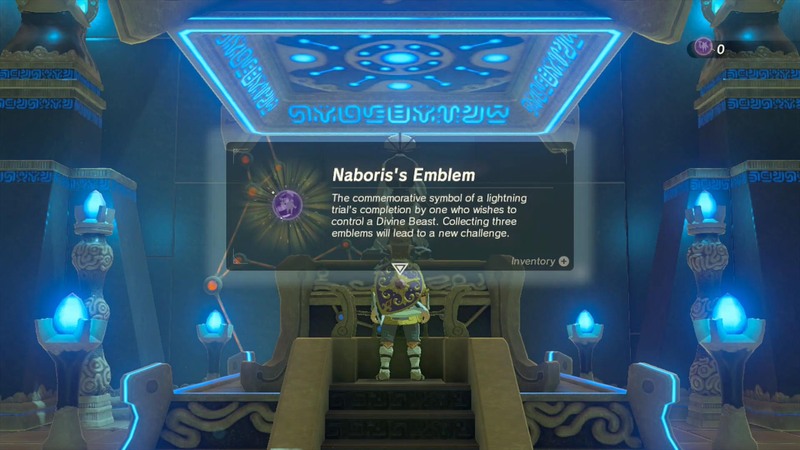 Go and collect your Naboris’s emblem and exit the shrine. 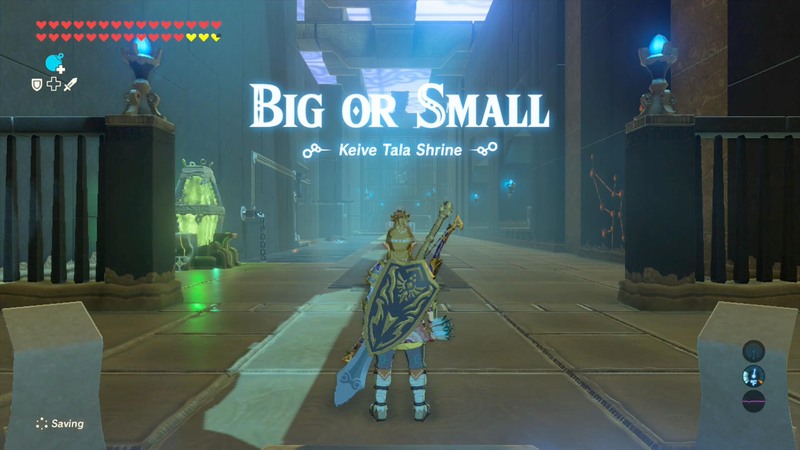 Check out our full Breath of the Wild guide to find everything in the game and its DLC.